Geneva, March 5th, 2018 – At this year’s Geneva Motor Show you can feel the emo on of a great supercar engine’s sound, like you were aboard. The supercar is the New Stratos, a legend reissued by MAT, Manifa ura Automobili Torino, for no more than 25 lucky Clients. The sound, instead, is provided by YAR, the bespoke audio system that, like the phenomenal MAT products, is handcra ed in Turin in limited edi on and, as every supercar that is, based on an extensive use of carbon fibre. The idea came up during a mee ng between Paolo Garella, the founder of MAT, and Adriano Marcone o, Ceo of YAR. “With Paolo we instantly understood that MAT and YAR share the same vision – says Marcone o – their super- cars and our audio systems are designed to offer the Clients unique experiences, and pure emo ons”. “We are excited to host YAR within our stand – adds Paolo Garella – It won’t play any song: only, every 15 minu- tes, the amazing sound of the New Stratos engine”. Founded in 2014 by Paolo Garella, an Engineer with a 30-years career in the automo ve field, Manifa ura Automobili Torino (MAT) is the Italian car manufacturer that in the last 4 years has conceived, engineered and manufactured the SCG003, both in the Compe on and Road Legal versions, for Scuderia Cameron Glickenhaus. MAT also managed the engineering development and the manufacturing of the Apollo Intensa Emozione for Apollo-Automobil GmbH respec ng a quality level and me schedule unknown to the automo – ve world. MAT was also selected by Devel LLC as a partner for the engineering development of the Devel Sixteen. Early this year an agreement was signed with the German company New Stratos Gbr for the produc on and sale of a limited series of 25 units of the New Stratos, which will be exhibited on MAT’s stand at the Geneva Motor Show 2018. YAR is the ul mate bespoke audio system, handcra ed in Italy and designed to let the Clients feel the same emo on of a live music performance, at home. Truly the “haute couture for audio”, YAR is available in a limited edi on of 100 bespoke systems only. 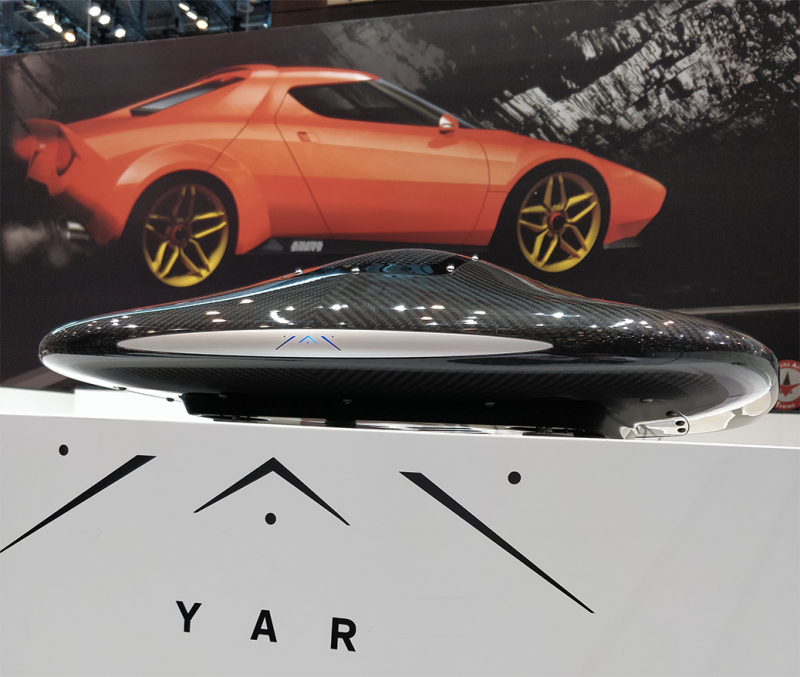 Each YAR takes three months to make and, on top of its full body in carbon fiber, can be customized with a range of materials such as exo c hardwoods, precious leathers and metals such as tanium, silver and gold. Once delivered, a sound specialist from YAR spends a day with the Client to install the system in their home anywhere in the world.